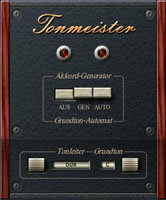 Tonmeister, MIDI Plug-in from WOK. WOK has announced the release of Tonmeister, a force-to-scale MIDI effect plug-in - it forces incoming MIDI notes to the selected scale and root key. It can also generate chords for incoming single notes. The root key can be set automatically by incoming MIDI notes for correct transposing. Root key can be automatically set by notes on a second MIDI channel. Generate chords for a single key. All existing customers will get the plug-in by mail. 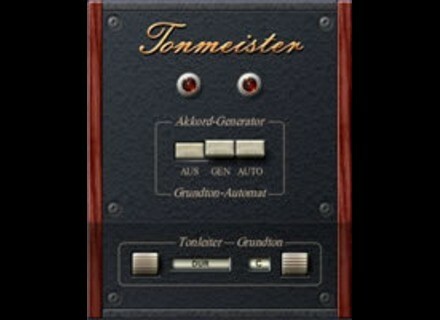 For everyone else, Tonmeister will be available as a Christmas gift for free download on December 25th, 2009, only. It's available for Windows in the VST format. Native Instruments Holiday Selection 2009 Native Instruments has released Holiday Selection 2009, a freely downloadable instrument that combines selected sounds from the range of Kore- and Kontakt-Powered instruments. Free SoundsOnDemand Collection Best Service has announced that its SoundsOnDemand web site is offering Advanced Media Tracks 2: Classic Composer, a collection of classic sequences, phrases and arrangements, optimized for remixes and film soundtracks, as a free download for everybody until January 5th, 2009.